Contributing to the creation and strengthening of an enabling environment for youth and women’s empowerment. To facilitate implementation, the project is establishing a multi-stakeholder platform in each of the two intervention regions. The platform will serve as an important entity to facilitate effective project implementation, as well as to closely oversee and follow-up on the achievement of project results. The platform will have youth representatives as members who will ensure that decisions are made according to the needs of young women and men. Females account for more than 51.3% of the rural population in Oromia, and more than 47.9% in Somali, and women lack the capacity and assets to invest in agricultural and pastoral livestock productivity. Read the latest news, personal stories, research and other information from the Empower Youth for Work programme in Bangladesh. In Ethiopia, HAVOYOCO focuses its operation in the Somali regional state, where it has implemented various humanitarian and development projects. The organisation has three operational offices in Ethiopia, namely: Addis Ababa country office, Jigjiga programme coordination office and Dire Dawa programme coordination office. Rift Valley Children and Women Development Organization (RCWDO) was established in 1993 by a voluntary and humanitarian group of Ethiopians committed to addressing the causes of poverty in the Rift Valley areas. Its mission is: sustainable improvement in the quality of life of the marginalized and poor people and to ensure their empowerment through proactive engagement of the poor people to fulfil their basic needs and demand their rights to development through integrated participatory development approaches. 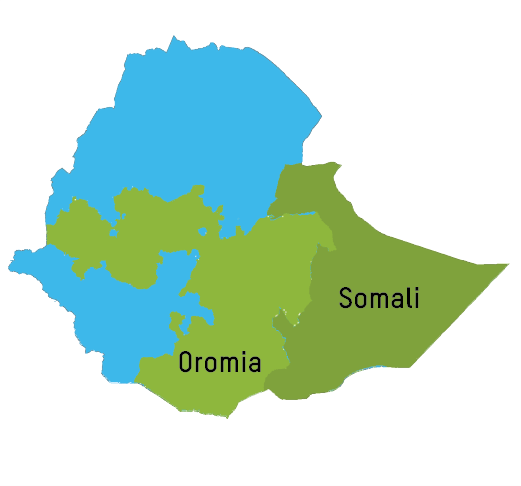 RCWDO is currently operating in five zones of Oromia national regional state, namely West Arsi, Arsi, and Bale, East Shoa and Guji zones.